Whether it’s a large oval gem stone or the minimalist oval, there’s something so simply LIT about the oval cut that will make vintage inspired statement on a wedding. 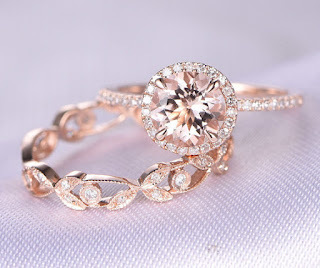 This ring is specially made for a classy personality. Such a creative, elegant, modern and sleek at the same time, pear shape engagement is your ring goals. When you love fashion, this ring is perfect for you. This romantic shade is blowing up the fashion and beauty world recently. This color trend is everywhere, in street style, runway, make up tutorial videos and even on the wedding aisle. Stay classy and updated with the latest favorite hue this season. 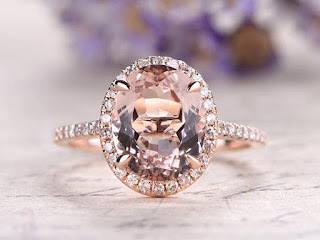 If you’re searching for the best morganite wedding set always put in mind that engagement ring trends are constantly changing, so pick your heart’s desire. 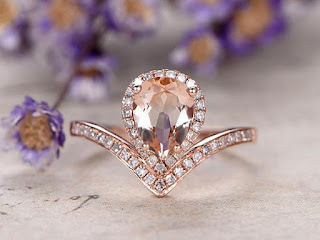 BBBGEM are a jewelry company specializing in custom jewelry,engagement rings,wedding rings,morganite ring,moissanite ring,aquamarine ring,diamond wedding band and other jewelries for more than 15 years. You can surely try out the idea of these matching ootds, sure thing that you will like this concept. It is the perfect time for this Mommy and Daughter bonding! These twinning fashion initially came from what prints could mix and match. And, yes, I made an effort to think of how these clothes would look perfect for both mom and kids. These mom and kids matching outfits are just too cute! In these Mom and Daughter top 3 matching looks, if you like any one of this matching then make sure that you click the photo below to start shopping. They have the best of mommy and daughter matching ootds plus cheap toddler clothes to choose on their site. And during summer fests, where matching swimwears for both Mommy & Daughter look more appealing and captivating. Some people find it funny but I find it one of the fun parts of motherhood, a little bonding between moms and their kids. Fashion has no age limits, it's about trying new styles, reinventing looks and it's all about how you bring out the best in you. It's really really not into age defining how you dress. Please watch this video I made for a vlog. Kinda busy editing videos recently. Have fun!! How to choose cosmetics for the summer? It is popular knowledge that we have four main seasons namely summer, autumn, winter and spring. Of all the seasons, summer is one of the prominent seasons in all parts of the world. Summer is always a period of excitement for everybody. It is even commonly referred to as the holiday season. Everyone wants to have fun during this season. An important part of the summer season is the different events we have to attend during the season. For our different events, the right choice of cosmetic products is essential. A cosmetic product such as the setting powder, used for the wrong season may end up being a disaster. The seasonal and temperature changes require the best choice of cosmetics and setting powder for your summer makeup. By picking the right setting powder you can get the best out of your makeup during the summer. 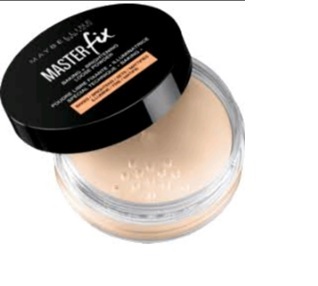 · Pick only a setting powder that moisturizes your skin. The summer season is dry and your choice of setting powder should be one which helps to moisturize your skin and not further dry it up. Avoid setting powders which dry up your face to avoid your face looking parched. · Pick a setting powder which keeps oil at bay. Sweating is normal during the summer season. You will end up having a sweaty and oily face and it is important that your setting powder is able to deal with sweat and oily skin. An example of a setting powder that does this is Urban Decay De-Slick Mattifying Powder. 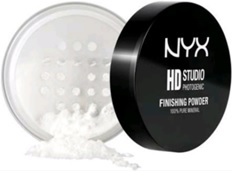 · Pick a setting powder that won’t easily rub off. During the summer, you will constantly have a skin soaked with sweat, if you pick a setting powder that rubs of easily, you will end up having smeared makeup. Whenever you sweat profusely, your makeup will end up being a disaster. That's why you should pick a setting powder which is able to deal eliminate all smearing. A lot of setting powders are made from chemicals which are harmful to the skin. When we sweat our bodies absorb many of these chemicals faster. This means that during the summer our bodies are at risk of chemical poisoning. If you’ll be getting a setting powder for your summer, make sure it is a setting powder which has a list of ingredients that are completely safe for your skin. Silicone and hydroquinone has been known to be a harmful chemical using in cosmetic products. Let’s take a look at a list of setting powders which are perfect for the summer season. We figured it's time for you to review how to look after your clip in hair extensions to advertise lengthy existence and healthy locks and also to help you stay searching good all summer time lengthy. Since clip-in extensions will probably be making many appearances at the summer time parties, take a moment to examine the best way to have them beautiful, to allow them to help you stay beautiful too. Wash Extensions Hair Extensions can take in your hair's natural oil, so it's vital that you wash these to maintain their shape and quality. A few of the fibers may drop out in case your extensions are permitted to obtain excessively greasy. Wash them lightly soak extensions in tepid to warm water inside your bathroom sink. Make use of a gentle, clarifying shampoo. Cover them lightly?-?don't scrub within the shampoo while you would together with your natural hair. Scrubbing it in will undoubtedly result in a twisted mess. Rub it lower the size of the extension, and rinse completely with cold, water that is clean. Don't comb or brush extensions while they're wet. You'll risk tearing the hair. Don't blow dry. Permit them to dry naturally before combing. For this reason it's important to not scrub way too hard while shampooing the extensions. Hydrate with Proper Hair Care And don't forget, it's very vital that you use top quality sulfate-free shampoo and conditioner. You need to keep your hair hydrated and filled with moisture. Our type of proper hair care goods are specifically formulated to utilize extensions and natural hair. You need to make certain you've got a quality Shampoo, Conditioner, and then leave-In Conditioner for the following steps. Comb and Moisturize When your extensions are dry, you need to comb all of them with a large-tooth comb to smooth them out and take away any tangles. Much like your natural hair, extensions can grow dry within the cooler several weeks, particularly when you heat style them, so make sure to moisturize them once they feel dry. Just a little leave-in conditioner should have the desired effect. You need to make certain to not over-moisturize, else your extensions will grow oily and flat. Only use a little dab once-in-a-while. Styling Your Extensions Extreme heat is essential if you wish to look great, despite the fact that it's unhealthy for natural hair vendors and extensions alike. Never blow dry extensions, but you should use straightening irons and curling irons to attain your thing. Obviously we simply recommend the greatest quality Remy clip-in extensions. They're the best choice for withstanding heat and lengthy-existence. Only heat style extensions when they're totally dry. 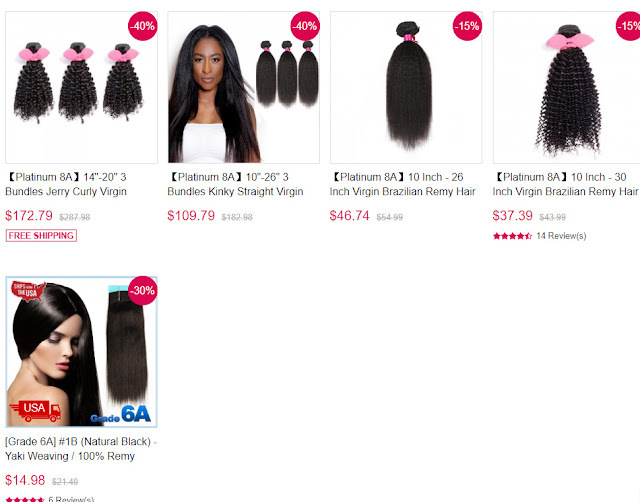 If at all possible, purchase two teams of extensions - one that's straightened and one that's curly to chop lower on the quantity of occasions you need to style the extensions while increasing the existence of the extensions. Take good proper care of hair extensions, and they'll help you stay searching great. I tend to be quite picky and am seldom happy with haircuts and hairstyles. I want to study more about picking the best hair stylist, salon and BestHairBuy hair extensions. What can you do in order to get the hairstyle you want? Mine, I prefer cosmetics and Hair extensions. Let's find out the coolest hairstyles and easy haircut ideas for short hair, long hair, medium hair. So as I have said in the previous post, I live in a kawaii world and Hair is not simply something that grows from skin follicles. It's been a sign of how a warrior a woman, It's a female strength, a marker of male power, and a mirror, reflecting Japan's influences, foreign and outside the shell. Hair is like the angle of your face, the way your make up look, and the type of clothes you wear,. It's what marks your personality. My friends always comment on how real they look and feel everytime I have hair extensions. I can confidently say I'm obssessed. Thanks BestHairBuy Deep Curly for making my hair dreams come true! I couldn't have been happier. Is my whole hair obsession silly? Yes. Is it vain. Absolutely. But you know what, it is also kind of fun! Wigs and Hair extensions are amazing, they are my life. 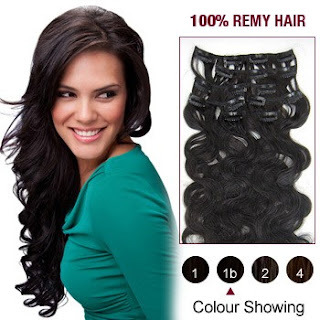 BestHairBuy Curly Hair Hair extensions are a great way to transform your look. Whether you're dreaming of Rapunzel worthy length or TV commercial volume and thickness it can all be within reach with a trusty set of BestHairBuy Hair Extensions. I live in a kawaii culture where hair and make up is such an issue. In Japan, hair has never been just hair. The country's whole hair culture isn't merely cosmetic. Let me introduce the BestHairBuy clip in hair extensions, take note it will not hinder hair growth so it's the best alternative to rocking longer locks while waiting for your real hair to grow out. I have short hair for a long time now and I can't deny the feeling of missing my long stylish hair I had before. The country, always adept at mixing outside influences with its own, especially in the west, their hairstyle, make up and fashion is such a big influence in terms of keeping women beautiful. Long hair is such a crowning glory but I thought something more low-maintenance would be a good choice. Here's a little secret, though: In the back of my mind, I really wanted to go dark long curly hair. This would be my kind of long hair. The wave on this hair is so extra. I also like beach curls but this photo above makes everything perfect and amazing summer hair goals. Get the voluminous hair of your dreams with hair thickening using hairBestHairBuy brazilian hair - ... You too can fulfill your dream of thicker hair. Mastered the art of styling hair. 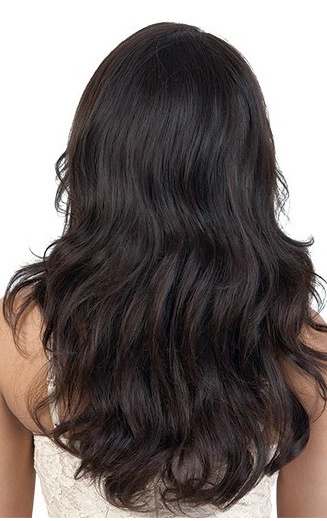 A natural looking hair extensions is their specialty.